The Clearwater School will have an information table at the second annual GeekGirlCon, Saturday, August 11, 9am-6pm, and Sunday, August 12, 9am-5pm, at the Conference Center, in downtown Seattle across the street from the Washington State Convention Center. This is the fourth event this summer where students, staff and parents have staffed an information table at a large public event. In June, we had a table at the Fremont Fair and Seattle Pridefest. In July, we were at the Mill Creek Festival. A few students and their parents attended the first GeekGirlCon last year and thought it would be a great opportunity to publicize Clearwater. We are excited to be a part of it. Mat and Brenda have designed a great booth display that includes a 10-minute looping video of still photos and student-created movie trailers, in addition to some other large graphical elements. Several Clearwater parents and students will represent the school at our table. In addition to information tables, there are panels, guest speakers, cosplay (people dressing up as their favorite characters), a masquerade and a venue for connecting and networking with women who are professionals in science, video games, comics, television and more. 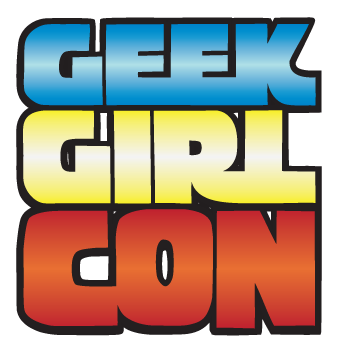 Tickets are available online at GeekGirlCon's website. You may also still be able to get discounted tickets at your local comic store. We hope to see you at GeekGirlCon!